Science NCERT solutions provide extensive and step-by-step solutions to all questions in the Science NCERT textbooks (Physics, Chemistry, and Biology) and are a valuable support to students that will help them in learning concepts while doing homework and preparing for exams. The questions and answers given at the end of each chapter in Science NCERT Textbooks are not only important for examination but also essential for understanding the concepts in a better way. Hence, we strongly recommend reading Science NCERT Solutions thoroughly and making appropriate notes and solutions in each chapter that will make revision faster. We hope Science NCERT Solutions will help you. 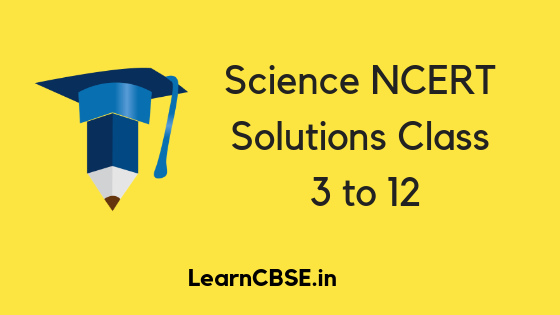 If you have any query regarding NCERT Science Solutions, drop a comment below and we will get back to you at the earliest.